It’s springtime in Kentucky. That means the rainy season for Frankfort and the surrounding area. When rain coats the roads, it causes fits for motorists going to and from work. It also creates difficulties on busy highways. Crossroads Ford wants you to be safe when the rain hits. 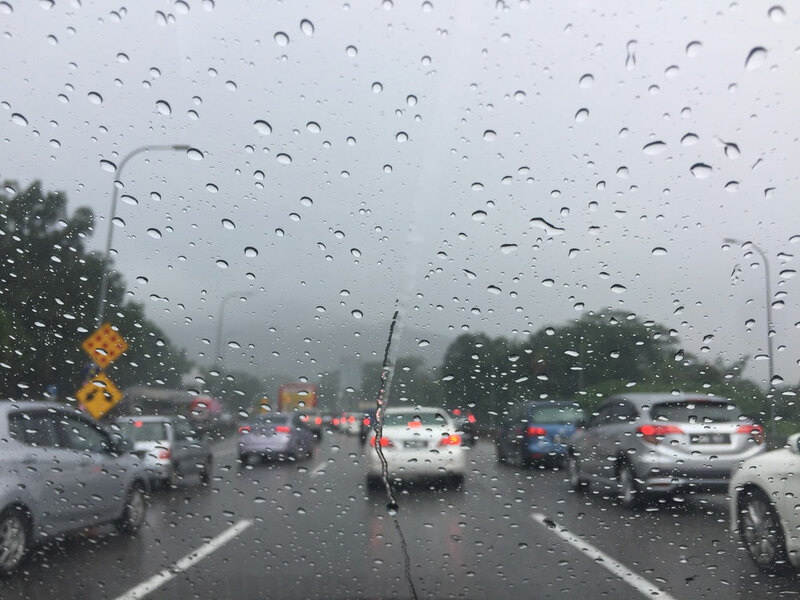 In today’s blog, we discuss some safety tips for driving in the rain. The first thing to do when it starts raining is slow down. Speed limit signs are there for when the road is dry, and conditions are sunny. Most certainly drive under the speed limit when it rains, whether you see a light drizzle or a heavy downpour. Leave enough braking distance between your car and the car in front of you. Also, don’t slam on your brakes. This gives vehicles behind you enough time to slow down. Crossroads Ford encourages you to practice this defensive driving in dry weather to get used to being safer when the weather turns to rain. If you need your windshield wipers on, you should also have your headlights on. Headlights make your car more visible to other drivers in adverse conditions. Crossroads Ford has a world-class service department with techs who can assess your wiper blades and install new headlights if you have one that’s blown out. Cruise control may make your car lose control on slick pavement. If your car starts to hydroplane or lose its grip on the pavement, your car doesn’t slow down when the cruise control is on. Turn off cruise control on the highway so you stay in total control of your vehicle in wet weather. Leaving off cruise control means your car instantly slows down whenever you take your foot off the accelerator. The most dangerous time for slick roads is just after the rain starts. That’s because water mixes with oil and other car chemicals already on the road. Drops of oil leak from car engines and land on the pavement. However, these oil slicks combine with water to form a slippery layer. Be extra-cautious when it first starts raining, because this is when many accidents happen due to slick roads. Although Crossroads Ford sells many new and used cars with anti-lock brakes, you should still exercise caution when it comes to driving in the rain. The service department at Crossroads Ford can help put your car in top shape for the spring season. Come by our location on Versailles Road, or make a service appointment, to get started on the road to safer driving today! Just like your house needs a spring cleaning, so does your car or truck. Spring is when you roll down the windows, smell the wildflowers blooming, sniff the scent of rain in the air, and feel the wind in your hair as you cruise through the countryside. There’s nothing like an afternoon drive surrounded by rolling green pastures to shake off the winter doldrums. Crossroads Ford Lincoln discusses some springtime car maintenance tips to get your vehicle in top shape for warmer weather. Pop open the hood to look at the coolant tank before you start your car and after your car heats up after a long drive. There are two levels to measure coolant, one for cold and one for hot. If any of these levels are off, add some coolant — when your car is cooled down — until the level returns to normal. If this level doesn’t stay the same after a day or two, schedule an appointment for car maintenance with a certified auto mechanic. There may be a more pressing problem. Tire pressure decreases in the winter thanks to lower temperatures. As the outside air heats up, your car’s tires increase in pressure. Check your tire pressure with a calibrated gauge. Inflate or deflate your tires based on what you see on the gauge. If your tire pressure changes in a few days, consider having car maintenance done. Tires are vitally important for keeping your car on the road, particularly during wet weather. April showers bring May flowers. Warmer spring weather also brings heavy rains that make it hard to see out your windshield. 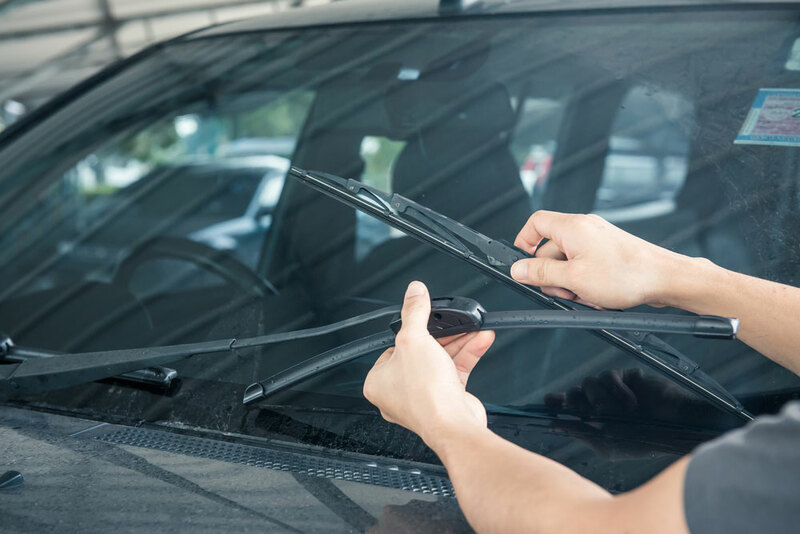 Part of your springtime car maintenance routine should be taking a closer look at the wiper blades. Look for cracks or wear, because winter snow and ice can cause the rubber to wear down. Replace your wiper blades if they’re not at their peak condition. Winter grime, road salt, and debris can accumulate on your vehicle in the winter time. Give your car a thorough wash and wax as the warmer weather hits. Allowing salt build-up can cause rust or decay on your car. Clean the inside, too, and remove any trash, papers, and accumulated dirt. Take out the floor mats and give your vehicle a good vacuuming for a thorough springtime car maintenance regimen. Crossroads Ford Lincoln makes car maintenance a snap. 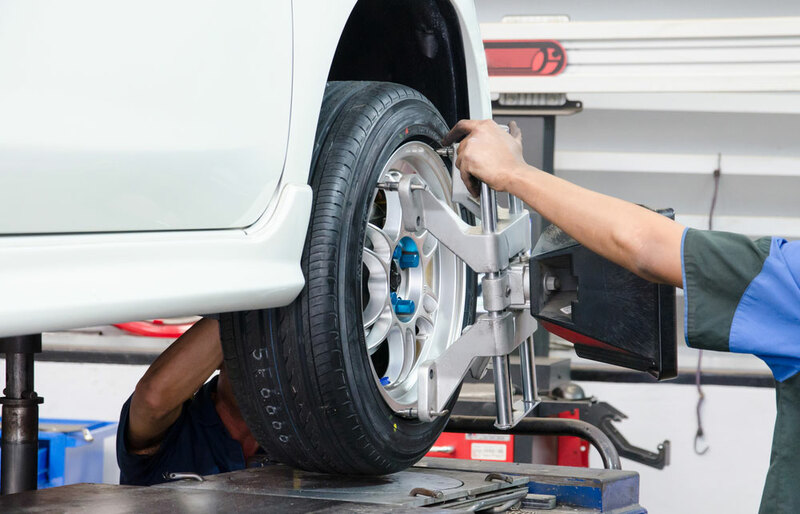 We offer tire balancing and rotation, car oil changes, tire alignment, and transmission service. Come and see us on Versailles Road in Frankfort for a tune-up. Feel free to call us at (502) 695-1990 or contact us online today to schedule a maintenance appointment. Tire balancing is an important part of your truck or car maintenance regimen. However, it’s not something you usually think about until it’s time to rotate or replace your tires. Crossroads Ford Lincoln explains what tire balancing is and why it’s essential to your car or truck. Tire balancing is when an automotive technician removes all four tires from your vehicle and tests them for weight distribution. Each wheel has weights attached to them, either hammered onto the rim or attached to the inner part of the wheel like a peel-off sticker. Over time, each of your four tires loses tread due to wear. When this happens, your tires may become unbalanced due to more wear in some places versus others. How do techs balance tires? Technicians put wheels on a tire balancing machine that spins them around at 10 to 15 miles per hour. The machine measures and senses the weight distribution as it spins. Any abnormalities in the weight distribution mean the tech adds small weights, often in ¼-ounce increments, to the wheel. The auto mechanic usually puts these weights on the opposite side where the imbalance occurs. The tech then re-tests the tires after adding weight. How often should you get tire balancing done? Manufacturers recommend taking your car or truck in for tire balancing every 5,000 to 6,000 miles. Mechanics suggest getting your tires balanced at the same time you get them rotated. You should also bring your vehicle for maintenance if you feel your steering wheel vibrate at high speeds, notice vibrations in your seat at fast speeds, or see scalloped or cupped wear patterns on your tires. Why is tire balancing important? Tire balancing is crucial because it can affect how your vehicle drives on the road. Balancing all four wheels reduces wear on your tires, creates a smoother ride, and makes your drive train perform better. Any problems with your tires can reduce your fuel efficiency, increase the chances of hydroplaning in wet weather, and make your car less maneuverable. Tire balancing can keep your family safer. Bring your vehicle to Crossroads Ford Lincoln for tire balancing, transmission service, an oil change, or a tune-up. Our world-class service department can have your car or truck back on the road in no time. Give us a call at (502) 695-1990 or contact us online today to schedule a maintenance appointment. Posted in BlogLeave a Comment on What Is Tire Balancing and Why Is It Important? If it’s time for you to invest in a new car, you are likely asking yourself a million different questions. What kind of car do you want? Do you want a new or used vehicle? What budget do you have to work with? These are all important questions to answer but one question that is often overlooked is whether or not you should lease or buy a car. 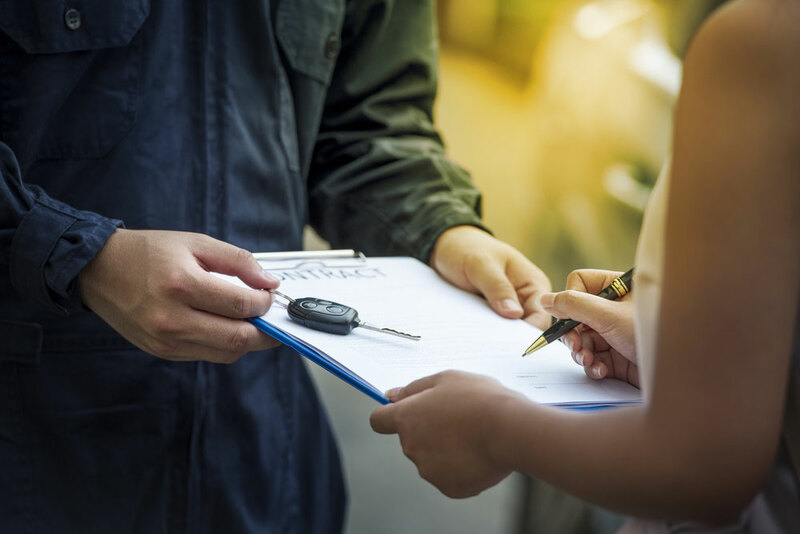 This question has many different facets, so it’s important to dive into all of the variables before you lease or buy a car. In today’s blog post, Crossroads Ford Lincoln will take a closer look at whether you should lease or buy a car. There are many benefits on both sides if you are looking to lease or buy a car. When it comes to leasing, the biggest advantage is having a lower monthly payment. Similar to renting a home or an apartment, since you don’t own the vehicle, you won’t pay as much each month to use the vehicle. You also won’t have to worry as much about repair expenses or being upside-down on your vehicle because you won’t ever owe more on the lease than the car is worth. On top of that, you will also get to drive a new car more often, since you can lease a new vehicle every couple of years. The benefits of buying come in the long-term, just like with owning a home. In the moment, renting an apartment or home might be cheaper, but you aren’t paying for something that you actually own. That means that you aren’t spending money on something that you can make money off of later. When you buy a car, you will pay less long-term because you will be able to build the value of the vehicle and sell it when you look for your new vehicle. And if you pay off your vehicle, you won’t have a car payment at all, unlike with leasing. So, essentially, the longer you drive an owned vehicle, the less it hurts your wallet. Whether or not you should lease or buy a car has long been a big question for many drivers, but the consensus has typically been in favor of buying a car. While a lease is tempting because of the low monthly payment and the ability to drive newer cars, it isn’t as cost-effective in the long-run. When you lease a car, you have nothing to show for the money you spent at the end of the lease. When you buy a car, once all that money is spent, you own that vehicle, which means you can keep it for as long as you want or sell it, or trade it in for your next vehicle. However, there are instances when leasing a car makes sense, especially for younger people who cannot afford to own a car. With that being said, you should always buy a vehicle if possible. If you are looking to lease or buy a car, Crossroads Ford Lincoln wants to help. For more information on what we offer, get in touch with us at (502) 695-1990 or contact us online today. Posted in BlogLeave a Comment on Should You Lease Or Buy A Car?